RENO, Nev. — A street newly nicknamed Startup Row intersects this city’s old strip of casinos touting Money Maker Jackpots and Crazy Cash Slot Tournaments. While old-fashioned slot machines are whirring nearby, this stretch of road has become a home for smartphone app makers, cloud computing developers and companies like one that set up shop here recently to build tiny sensors that allow devices to connect to the Internet. For most of America, Reno stirs images of worn-out casinos, strip clubs and quick divorces. But it is trying to change that reputation and reduce its reliance on gambling by taking advantage of its location and low taxes to gain a solid footing in the new economy. Instead of poker payouts, Reno now boasts of e-commerce ventures, an Apple data center and a testing ground for drones. It also hopes to attract a large factory to build batteries for Tesla’s electric vehicles. Reno, Nev., which is heavily dependent on the gambling industry, had a more severe downturn than other parts of the country. But as the area attracts new employers with its convenient location and low taxes, the economy is starting to recover. For graphic please see original article at NY Times link. Reno exemplifies how cities not far from California, including Boise, Idaho, and Tucson, are trying to poach the state’s technology culture to help diversify their economies, marketing themselves as places where taxes are lower and environmental regulations are less onerous. They hope that when the next recession strikes, they will not sink to the same depths as they did in the last one. Reno is among the best situated, less than a four-hour drive from San Francisco and in a state with no corporate or inventory taxes. It gained appeal as an outpost of Silicon Valley nearly a decade ago after a Microsoft licensing unit and an Amazon distribution warehouse moved in. California refugees were buying homes, lured by the relatively low cost of living and the 30-minute drive to Lake Tahoe. Then came the Great Recession, walloping Reno’s gambling industry, and its housing and job markets. At the end of the recession in 2009, homes had lost nearly half the value they had in the beginning of 2006, and median prices continued to fall. 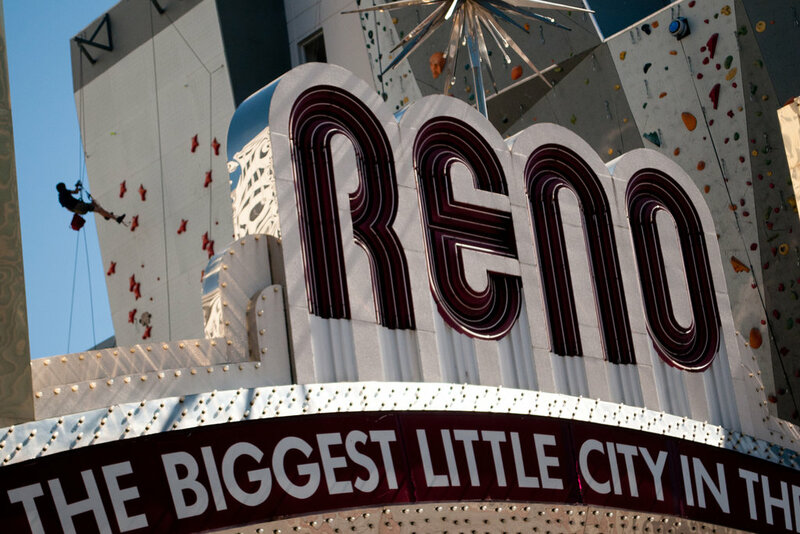 At its depths in September 2010, Reno’s unemployment rate was 13.4 percent compared with the national average, 9.5 percent, according to Moody’s Analytics. But now, after several years scraping along the bottom in almost every measure of economic health, Reno appears poised to turn the corner, according to economists who study the region. Housing prices are slowly starting to rise. The unemployment rate has declined to 7.1 percent. New technology companies are arriving, and older ones are expanding, including Zulily, an e-commerce company for women and children’s clothing and home décor, which announced plans in May to double its warehouse and hire 600 people. Most of all, civic boosters are on edge waiting for Tesla, Elon Musk’s electric vehicle company, to announce the location of its new battery factory that is expected to employ more than 6,000 people. Tesla has said it is considering Nevada, Texas, California, Arizona and New Mexico. Reno is not far from one of the few lithium deposits in the country, it is relatively close to Fremont, Calif., where the vehicles will be assembled, and its industrial park has tens of thousands of acres of land for the auto company’s new expansive factory. Tesla officials did not respond to requests for comment. Reno competes for new businesses with Salt Lake City and major cities in Arizona, all of which are convenient for online retailers to set up shipping locations for customers in California and the rest of the West. In Tucson, Duralar Technologies, a global nanotechnology company, announced in March that it planned to set up its United States headquarters there. Boise has increased its marketing to lure new technology companies and has drawn several start-ups in recent years, said Clark Krause, executive director of the Boise Valley Economic Partnership. The organization emphasizes its outdoor lifestyle on its website. It is not a simple climb back from the depths of the recession for these cities. Nearly all are constrained by a shortage of skilled workers to fill the jobs created by companies their economic development offices are trying to attract. “We have the same challenges everyone else does when it comes to finding enough talent to grow as much as we could,” Mr. Krause said. In Reno, where many workers traditionally have been employed in some aspect of the gambling industry, the work force is less educated than in more populous cities, economists said. Tesla, for instance, might have to recruit from elsewhere to find enough trained workers for its battery plant, should it decide to build here. Mr. Kazmierski is encouraging Reno to prepare for the new kinds of companies his team is wooing. A major part of his strategy is just up the hill from Reno’s casino strip: the University of Nevada, Reno. The campus of 18,000 students has traditionally not played a major role in the city’s economy and is physically separated from the rest of town by Interstate 80. Students often earn their degrees and leave. But now, the university is starting to work with Mr. Kazmierski’s team to make sure students are trained in specific skills or even the languages needed by companies looking to settle in Reno. The university created an on-campus office space this spring for an Australian drone company that decided to open a research outlet in Reno, one of a handful of locations the federal government has selected for testing unoccupied aerial vehicles. Separately, the university just announced plans to take over an empty downtown building that will house a center for drone research, a student welcome center and a coffee shop. Mr. Kazmierski outlined his vision on a recent morning driving down Reno’s casino strip, past the Showboat Inn, the pay-by-the-week motels and signs advertising $5.99 prime rib and fries. Towering old casino buildings could be turned into student dormitories or condos. Storefronts could house technology companies. The new drone research building could host an incubator space for businesses. For companies, the region’s chief draw is its lack of taxes. But the location has other advantages. Reno is less than a two-day drive to anywhere in the West, an advantage for shipping companies. And there is no shortage of land ready for development. Outside town, along miles of scrubby desert, large manufacturing centers, distribution centers and office parks already have moved in, and more are on the way. The area is so expansive that wild horses roam among the warehouses. Surveyor stakes mark new developments, and fire hydrants sprout seemingly in the middle of nowhere. 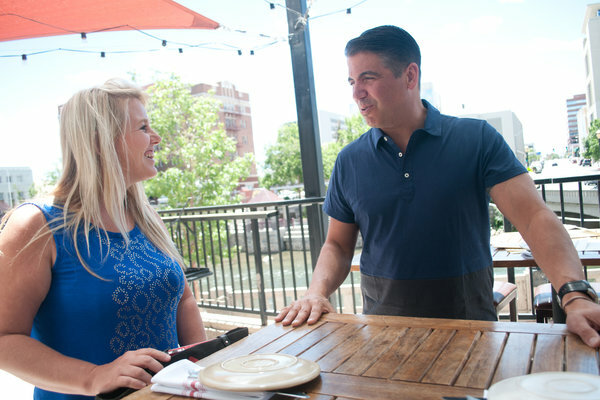 Visiting executives are surprised to learn that the Truckee River cuts through downtown, where a restaurant scene is emerging. Bike paths wind through the city and beyond, and urban gardeners raise chickens in their backyards. A new downtown boutique hotel has no casino. Instead, its main feature is its 164-foot climbing wall. The Reno Collective, along Startup Row, offers a shared work space to foster entrepreneurialism. On a recent day the office was filled by young people tapping on laptops, some sitting on exercise balls, and one with a dog curled around her feet.